Magni and Misty – are these the robots we’ve been looking for? Both are crowdfunding right now – Magni has only 1 week days to go and Misty has just launched today. Both robots come from pedigree robotics companies and both robots are top of the line in terms of capabilities. And I have to confess, I’m a sucker for great robot crowdfunding campaigns so have purchased one of each for Silicon Valley Robotics and Circuit Launch. 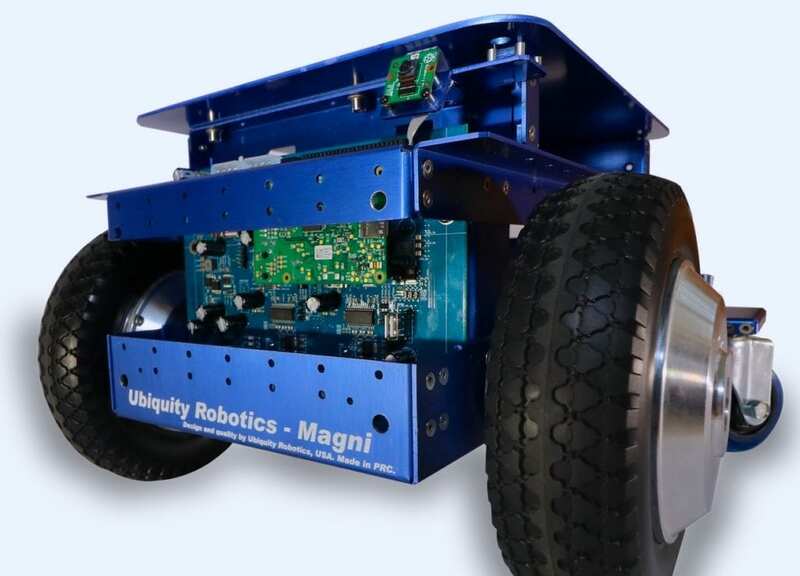 Magni is a robust mobile platform capable of carrying a payload of over 100 kilos, developed by Ubiquity Robotics. It comes with all the sensors you need for autonomous navigation, indoor or outdoor, has a sophisticated power train, and runs on a Raspberry Pi and ROS. Magni is more than a hobbyist package, you can build commercial applications on the top of the base platform, for food or package delivery, mobile manipulation, kiosk robots or security, inventory…. etc. In addition, Ubiquity is offering Loki, a small and more or less affordable learning platform that you can use to develop applications for Magni. 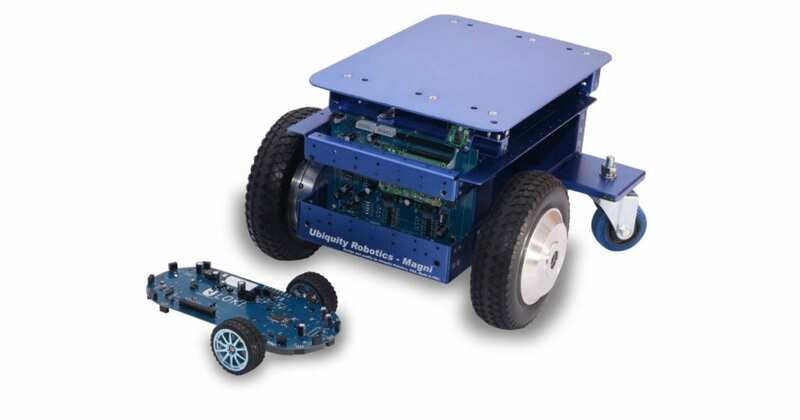 The team at Ubiquity Robotics are well known in Silicon Valley as robotics experts and members of the Homebrew Robotics Club. Misty Robotics also has a great pedigree, as the team is a spin off from Sphero by Orbotix. Sphero and sister/brother robot BB8 have been immensely popular, but cofounder Ian Bernstein felt that it was time to build a personal home robot with more capabilities than a toy. 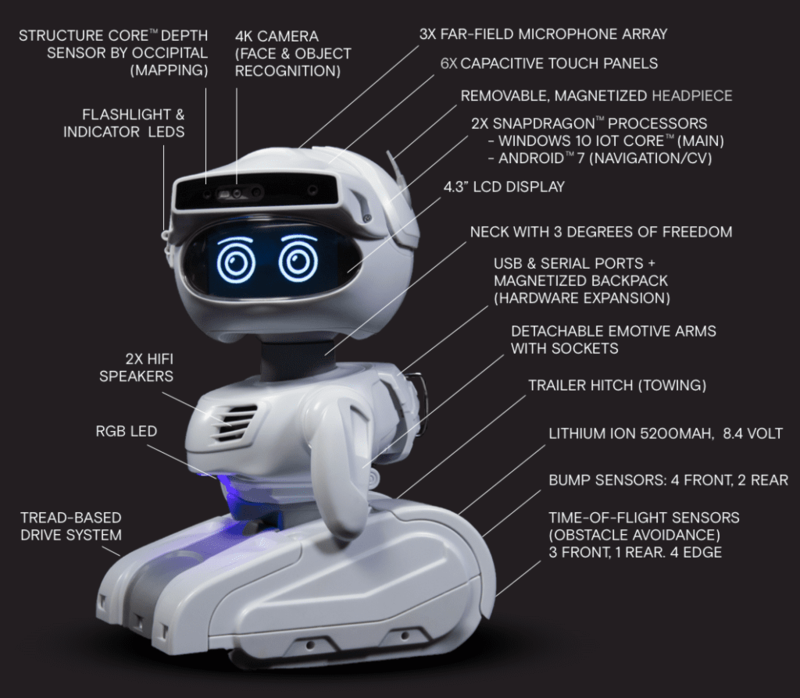 Misty Robotics was formed in 2017 but have kept their robot under wraps until this year – showcasing the first version of Misty 1 as a developer product in January and now releasing Misty 2 as a crowdfunding campaign. All of this stuff can be accessed and leveraged if you know how to code, even a little bit. Or even not at all, since Misty can be programmed through Blockly. Misty is a great introduction to the realm of robotics! 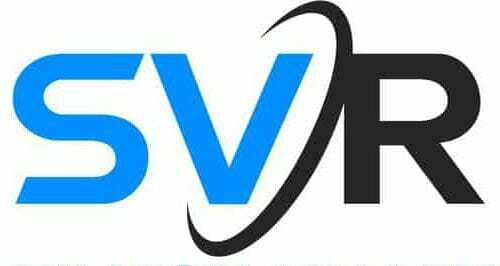 Sadly what is also clear is that Misty Robotics has a far greater customer/support base than Ubiquity Robotics because both robots are worth purchasing (albeit for slightly different purchases) but the Ubiquity Robotics campaign hasn’t spread far beyond their Silicon Valley supporter base. I hope the campaign crosses the line because I want my robots!